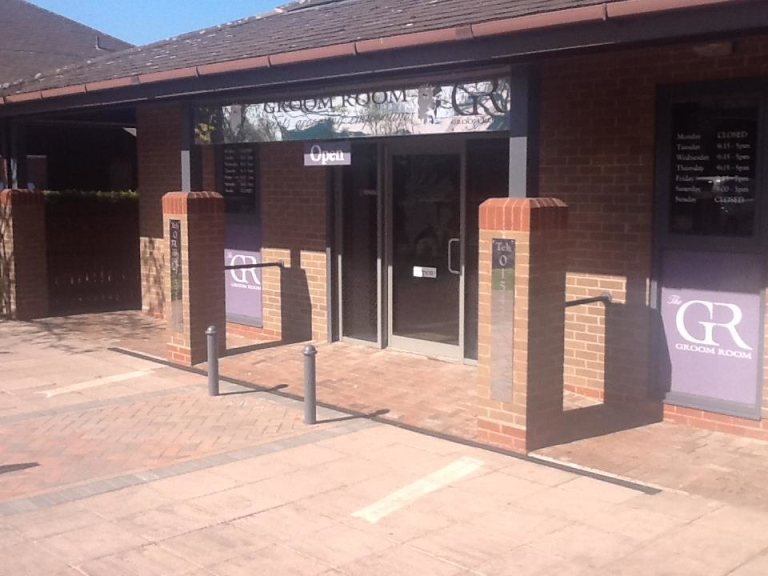 The Groom Room is a gents grooming emporium providing the men of Cannock with a specialist barber, hairdressing and wet shave service that is a class above. 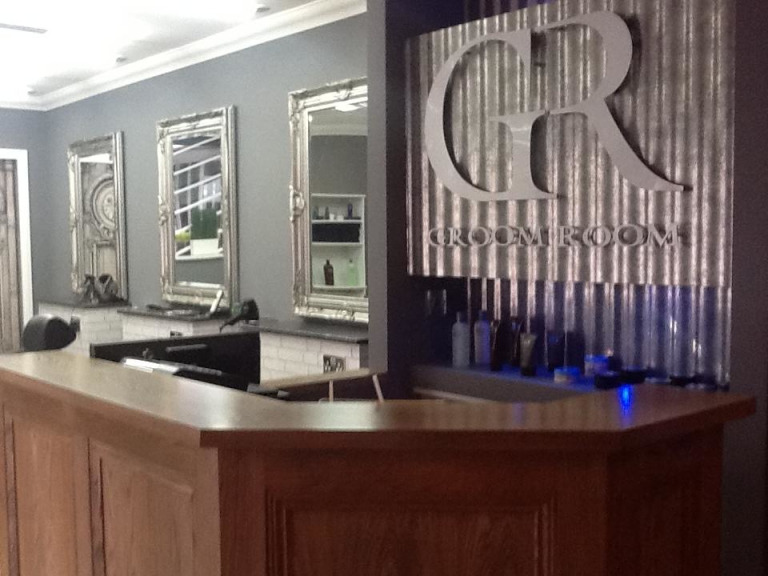 The Groom Room in Cannock is a gents grooming emporium created to provide high quality service to men of all ages. As a specialist gents grooming emporium all customers can relax, feel welcome and benefit from a tailored personal service. The Groom Room provide a number of specialists services for gents including hairdressing and traditional hot towel shaves. 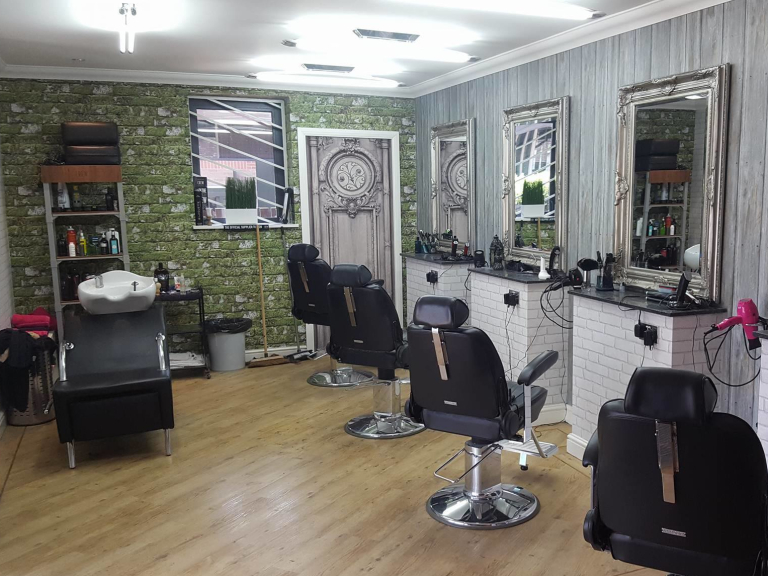 The Groom Room is owned and run by highly qualified hairdresser Tim who has a real passion and talent for the cutting and styling of men's hair having worked with a number of celebrities. Tim has qualifications from London Hair Academy, Sassoon Academy and Toni & Guy. 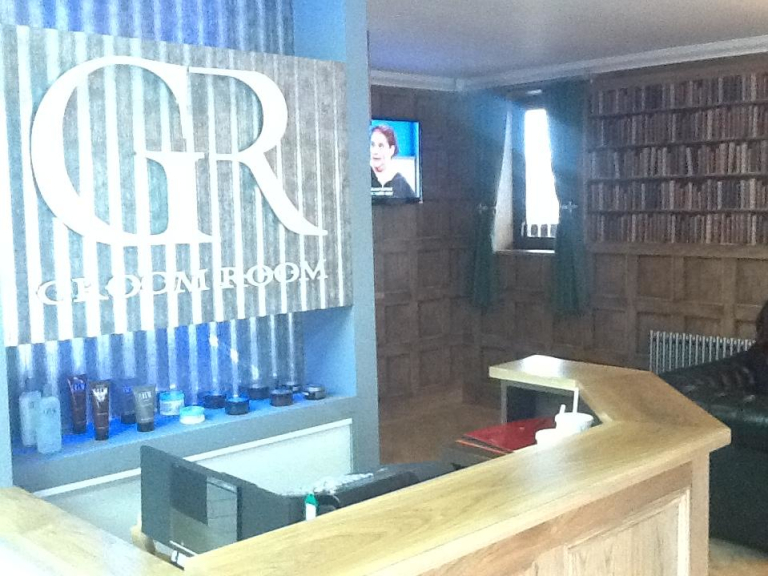 Visitors to The Groom Room will appreciate the high standards reflected in every aspect of the salon. The decor creates a comfortable environment for men, complete with flat screen TVs, PlayStation and reading material. The products used are of the very best quality with exclusive brands from USA. Every customer to The Groom Room can be sure of a personal service with longer hairdressing appointments than at a traditional barbers. The Groom Room team will discuss customers wants from their hair and work hard to ensure complete satisfaction, there is no 5 minute butchering at The Groom Room! All ages are catered for at The Groom Room with many 'lads and Dads' appointments being made. The hot towel shaves are the ultimate in close shaves, performed using a traditional straight razor. A hot towel shave at The Groom Room delivers a true feeling of relaxation and leaves your skin feeling its very best. Walk in appointments are available at The Groom Room but booking is always advisable to avoid disappointment and longer waiting times. Please mention thebestof Cannock when calling The Groom Room hairdressers and grooming emporium. The Groom Room provide tailored services for any occasion including visits from Wedding Grooms and the other members of the male party. Please call to discuss requirements. Gift vouchers are also available to suit any occasion. A unique place and excellent service. Cannot ask for better. Would definitely recommend. Excellent service. Would highly recommend. Leave feeling refreshed and happy. Thanks. Tim at The Groom Room is excellent. I enjoy going to The Groom Room and have recommended the place to friends and family.